Their Cape home is designed for escapes any season of the year. 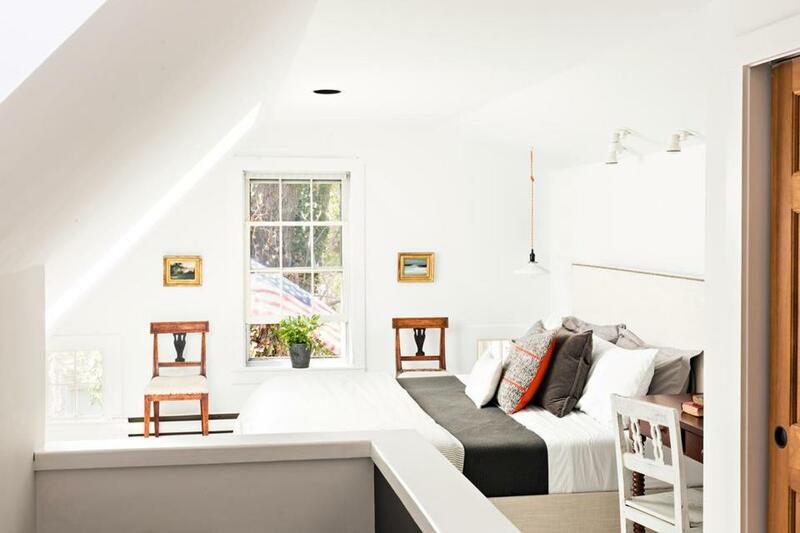 Because there are three doors in the first-floor guest room, the bed is positioned snugly against a wall. 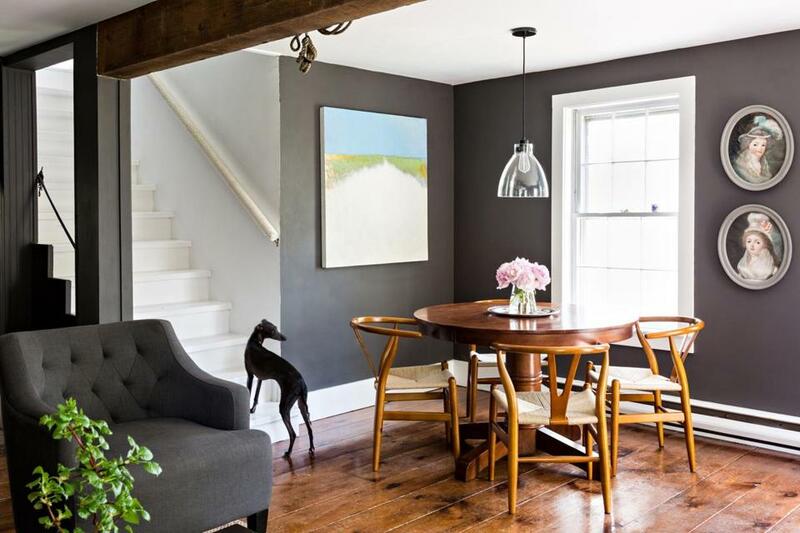 Brad Walker initially thought the sliding barn door had to go, but once the room was painted, he loved its juxtaposition against the dark gray wall. 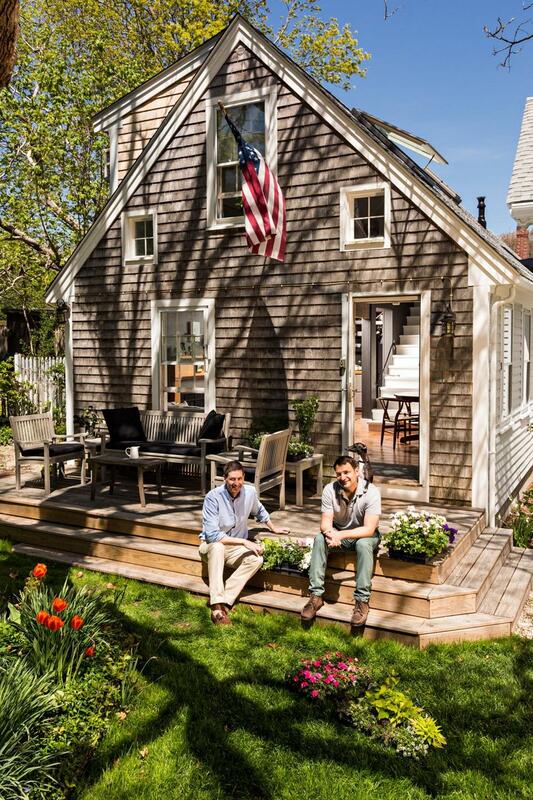 It took three years for Brad Walker and Rodin Shaw Cole to find their weekend haven in Provincetown. “A lot of what we saw on the market had been recently renovated. We wanted something with character. 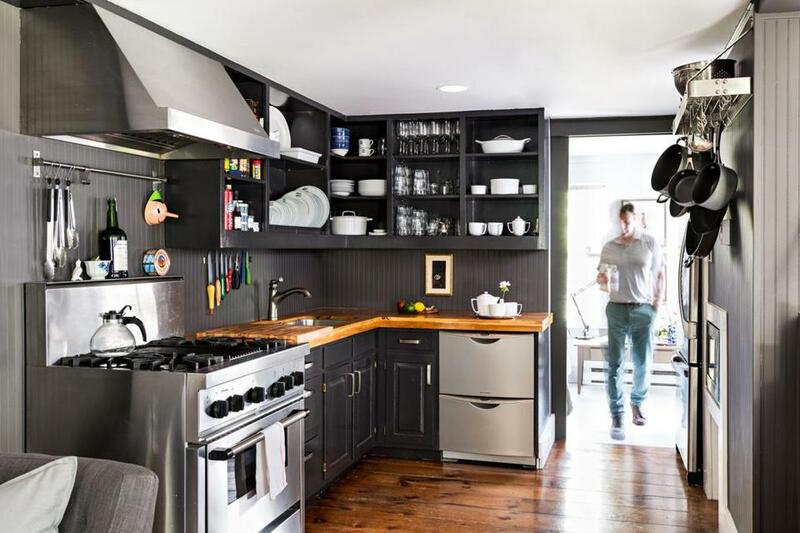 I didn’t want to escape to the Cape and feel like I’m in a suburban apartment,” says Walker, a principal of Boston-based Ruhl Walker Architects. The couple steered away from the classic beach decor of coastal cottages. “For six or seven weeks in the summer, Provincetown is bright and beachy. For much of the rest of the year, it’s gray and weathered and subsumed in rolling fog. We like that. 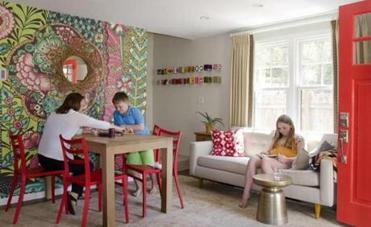 We wanted the home to feel good during all seasons of the year,” says Walker. 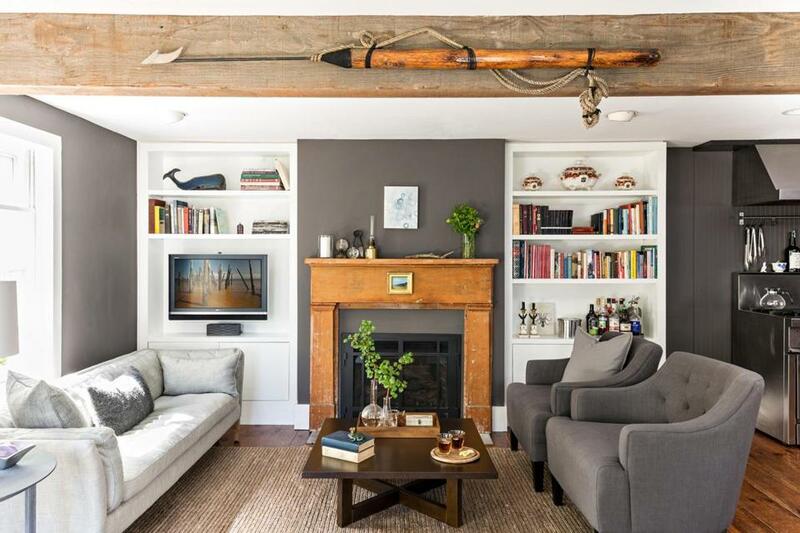 This petite North Shore home is just right for a designer and her two kids. Walker and Cole didn’t want any of their furnishings to be too precious, so they hunted for inexpensive pieces that suited their aesthetic. “Shopping online makes this much easier than it’s ever been,” says Walker. But before clicking “add to cart,” he says, it’s essential to have a furniture plan. “Know where it’s going in your house, what size you need, and how the particular piece will go with the other pieces you have in there.” Most of the furnishings in their home came from sites like Wayfair.com, Overstock.com, and Target.com. “Since you can find things these days that are shockingly inexpensive, you don’t have to be afraid to make a mistake,” says Walker. “Almost everything is returnable. If it doesn’t work, you can afford the $30 it costs to ship it back.” Just be sure to save the packaging. A seascape painted by Tim Beavis recalls the Outer Cape. Walker selected the Boston Interiors pedestal dining table for its shape and color. “It’s sturdy but not precious,” he says. The simple chandelier is from West Elm. Black kitchen cabinets help the eye recognize that the walls are gray, says Walker. Counters made of simple pine boards have a cottagey appeal. Walker (on left) and Rodin Shaw Cole relish their outdoor space. The home is an ell that had been added to an 1840s Greek Revival just off the harbor. The second story of the house is devoted to the master suite. Walls, trim, and floor are painted bright white. To avoid taking up table space, bedside lights are suspended from the ceiling. 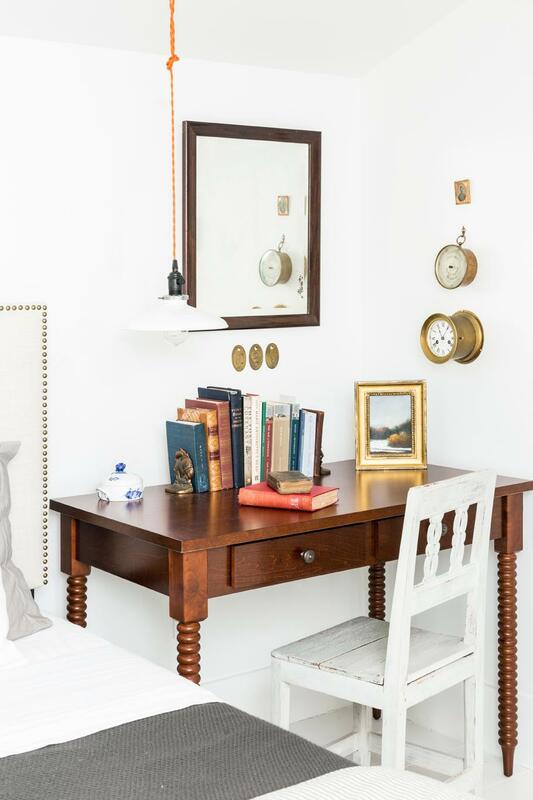 A desk from Overstock.com is paired with a Swedish dining chair. The latter is “very old and provincial — probably a kitchen chair,” says Walker. The barometer and clock pay homage to the whaling era in which the home was built. Jaci Conry is a regular contributor to the Globe Magazine. Send comments to magazine@globe.com.